Cupcake Mumma: My No Sew Tutu! Little Miss had her first party invite a few weeks ago and today was finally the day after much asking. The theme for said party was 'pirates' which isn't too demanding especially not since recently it was pirates day at nursery. 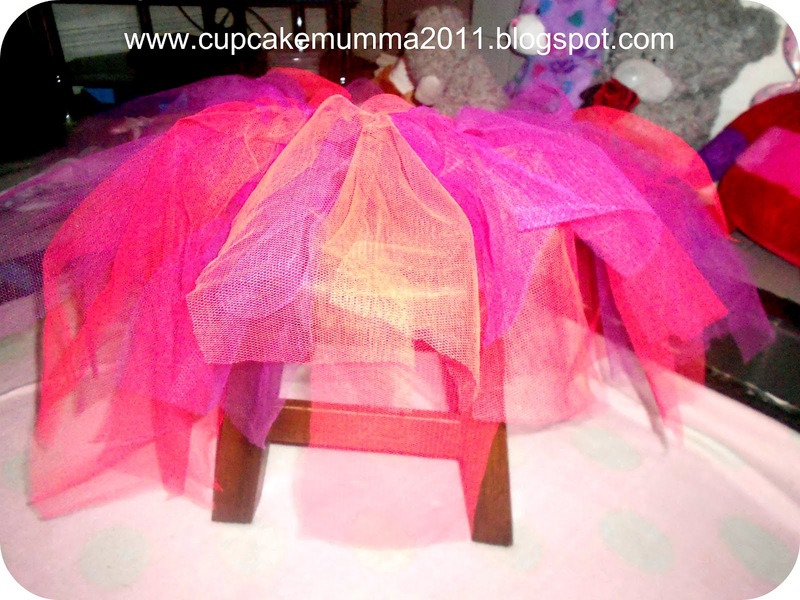 Anyway, I stayed up last night making this 'no sew' tutu and I was really pleased with it. While I was putting it together I thought of my lovely followers and thought I'd show you how I made it. I kind of had to wing it but I'm alright with that it's okay to find your own way! First of all you need your tools! Ruler -If you really want one, as you can see I didn't really want one! Measure your child so you have the correct waist measurement or you can do guess work like me! Take your netting, lay it out on the floor length ways and begin folding over so you end up with a length of rolled netting. Cut the ends off your netting. These are quite thick and can be untidy from rolling up. 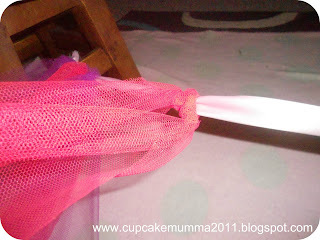 Fold your netting in half and cut at the folded point. I found my netting still too long, whether I did something wrong I'm not sure so I just laid out the cut up netting and snipped it half way again. Take your ribbon, It helps if you do as I did and tie each end to stools, chairs anything that makes the ribbon taught. Until you have added all your netting! You should now have your tutu..Enjoy! I hope that wasn't too hard to follow. 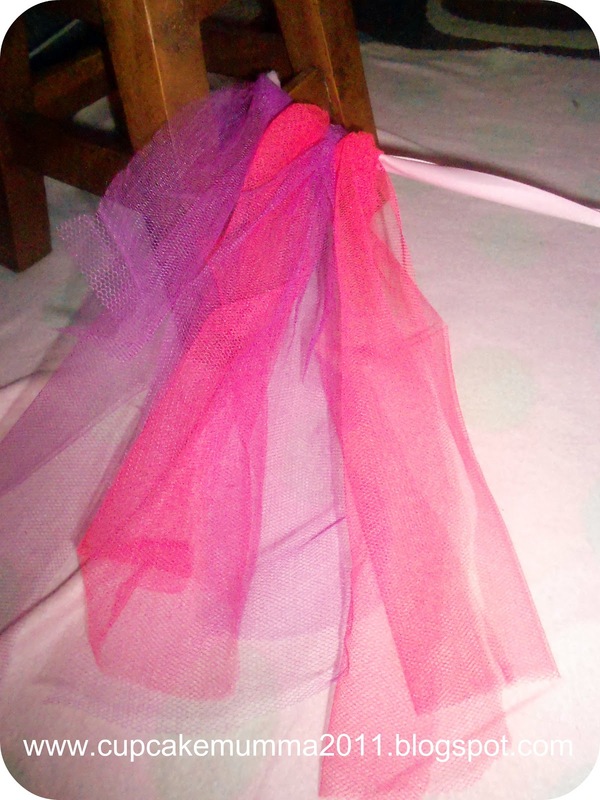 Have fun making your tutu for your little one (or yourself! 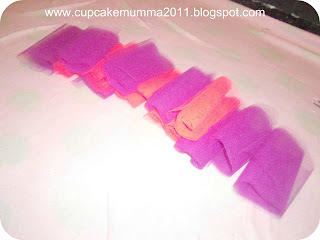 I know i'll be making them for my Race For Life in July)It would be great if you could share your make with me as well! 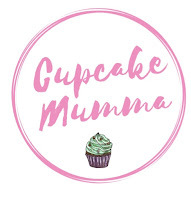 Check out Cupcake Mumma again soon to see Little Miss donning her new tutu in her pirate gear. I love this and made tutus for myself and Edith last year to wear to Camp Bestival using this 'method'. I think it would work well with scraps of other fabrics too. I love this idea! Scraps made from old T shirts would work really well because they wouldn't fray ! Thanks for your comment :) I think you're right would need a lot more to make the volume nice and big!